Taylor’s Checkerspot (Euphydryas editha taylori) butterflies are extremely rare! In Canada, they are only found on Denman Island. 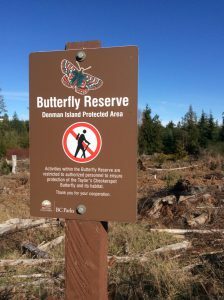 They’re clinging to survival within small portions of seasonal wetland and meadow habitats in a former clear-cut logging area in the new Denman Island Provincial Park and Protected Area, as well as in some adjacent private properties and land owned by the Denman Conservancy Association. More than 25 dedicated scientists and local residents are collaboratively working on a project to recover Taylor’s Checkerspot. 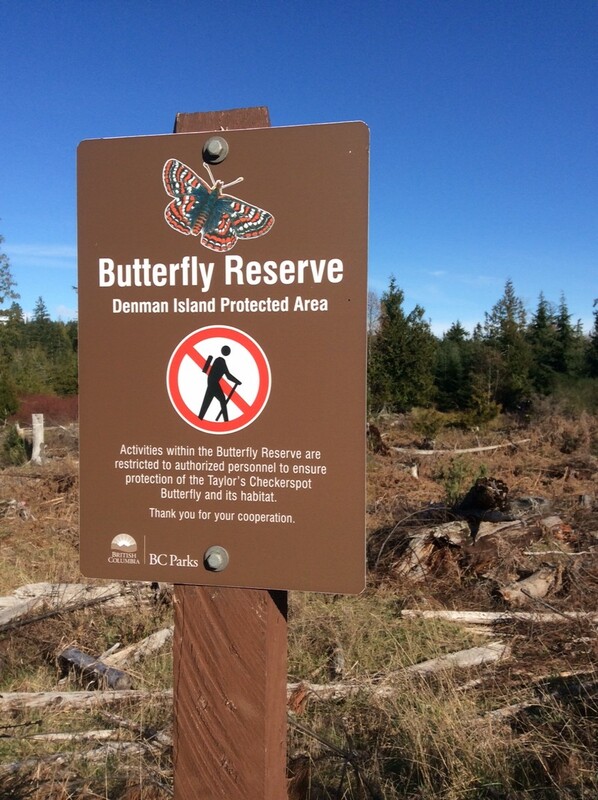 On March 7 and 8, 2016 sixteen very excited Taylor’s Checkerspot Recovery Project members and community volunteers gently placed more than 1000 precious Checkerspot caterpillars (larvae) into a butterfly reserve within Denman Island Provincial Park and Protected Area. The event was a coordinated effort, with larval release sites chosen, weeded and prepared with healthy host plants in advance. 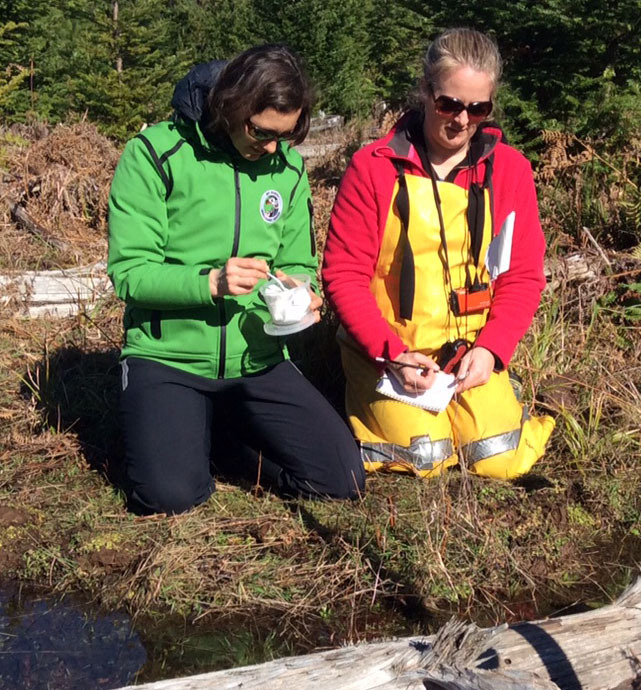 Following release, local volunteers and staff will continue to monitor the larvae as long as they can find them. 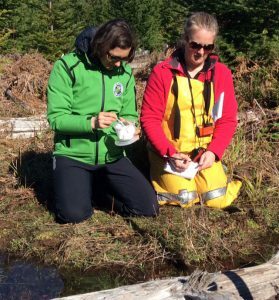 Approximately 250 larvae will be released in the coming weeks and adult surveys are planned for May. 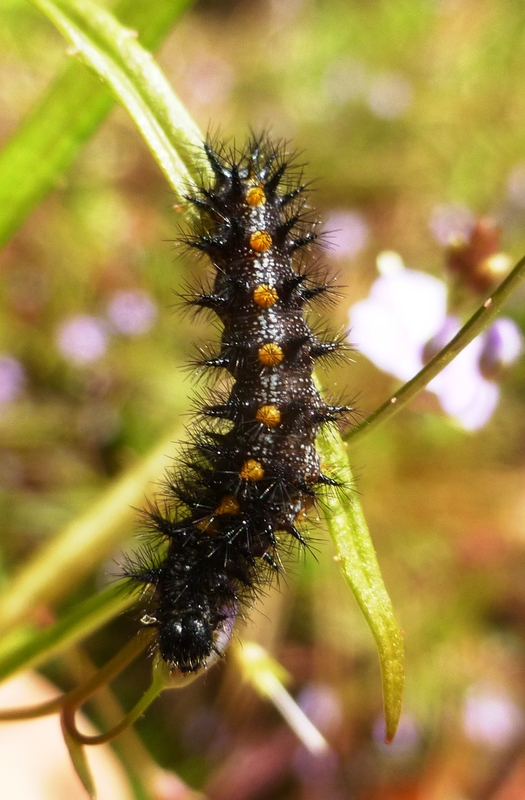 The larvae were raised at a captive rearing facility managed by Peter Karsten, a dedicated Denman Island resident, and operated with help from local volunteers and funding from Wildlife Preservation Canada. It is one of many Taylor’s Checkerspot recovery actions planned and made possible with support from BC Ministry of Environment, BC Parks, BC Ministry of Forests, Lands and Natural Resource Operations, the federal Habitat Stewardship Program, the Garry Oak Ecosystems Recovery Team, and the Greater Vancouver Zoo.